Years removed from the game, Cesar Luis Menotti might not be a name that fans nowadays remember. But back in the 70’s and 80’s, this guy was the epitome of cool and had a rebellious streak that resonated with fans. He led Argentina to their first World Cup as a manager in 1978, despite leaving someone named Diego Maradona off the roster in the final cuts as a 17-year-old. Menotti managed and played on plenty of clubs, but his claim to fame was leading Argentina to the top. 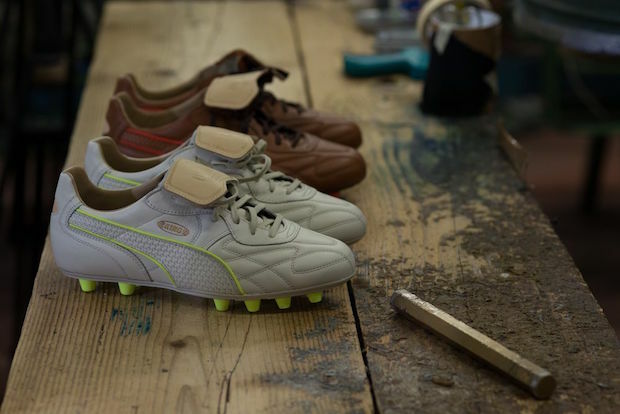 Puma has decided to capture the coolness that is Menotti by putting it into a pair of boots, the Menotti Star. These boots are an embodiment of Menotti’s style and aura, flashy and exciting. 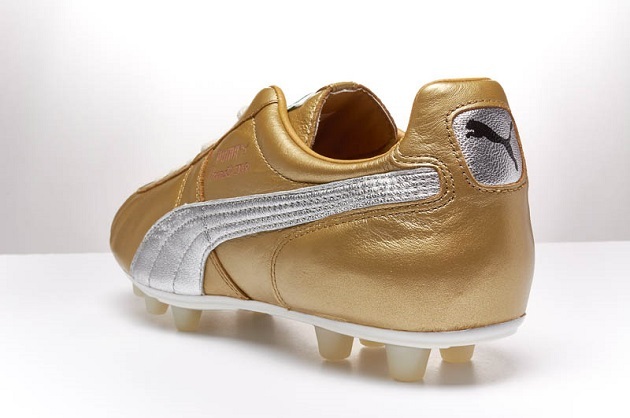 They are gold, with white laces and features. 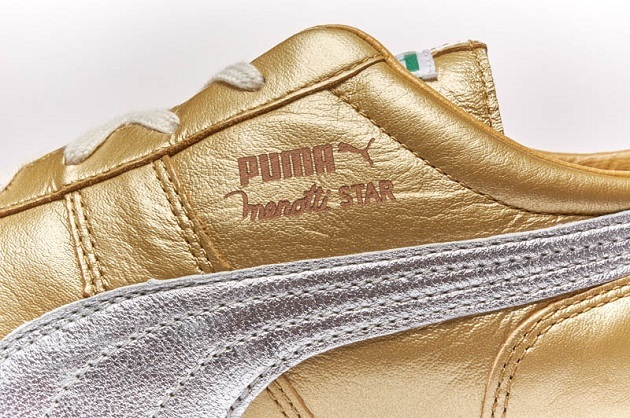 The traditional Puma logo and stripe are on the upper, including Menotti’s name. These boots are made of smooth leather, an updated version of the style used decades ago. 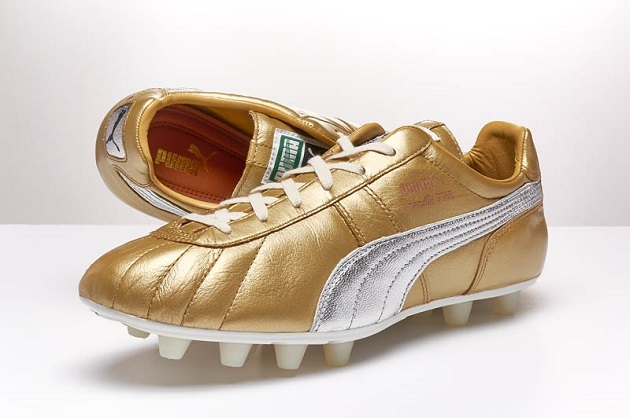 Menotti as a player used to wear Puma Kings, and now he has his own Puma shoe. 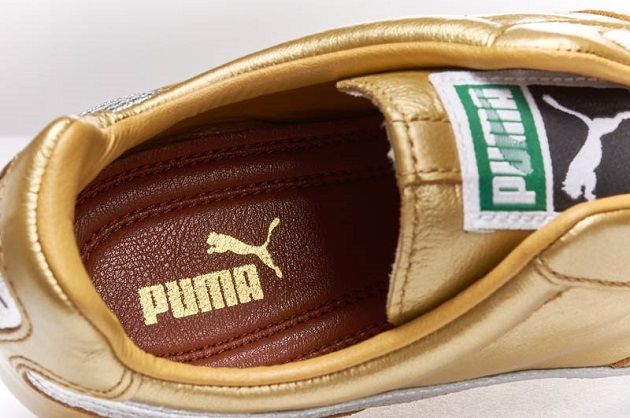 The premium leather provides excellent touch on the ball and great comfort. The lightweight Pebax outsole proves stability and flexibility, while conical studs maximize traction and help movement. Like Cesar Luis Menotti, you can be something bigger than the game. These are a wonderful way to celebrate Throwback Thursday, relive your childhood, or for just treating yourself to a solid performing pair of boots. Make sure you grab the Menotti Star on SoccerPro.com.